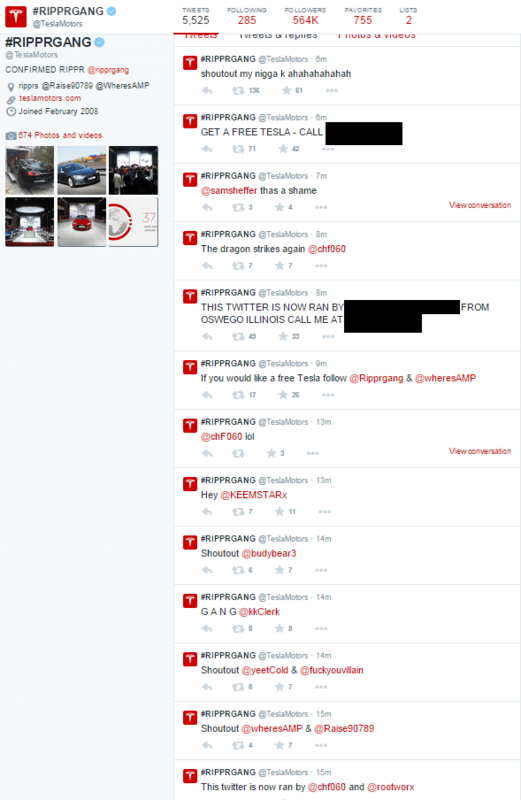 On Saturday evening, a group of hackers that go by the name of Autismsquad vandalized Tesla Motors’ website and Twitter account. 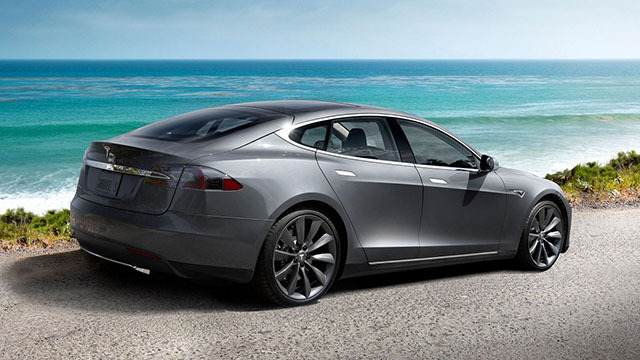 The hackers took control over Tesla’s website and Twitter account changing information in their Twitter account and replaced the content of the website with a GIF image. Other than changing information including its location, name and description, the hackers also posted some tweets giving shout outs to their buddies (niggas). 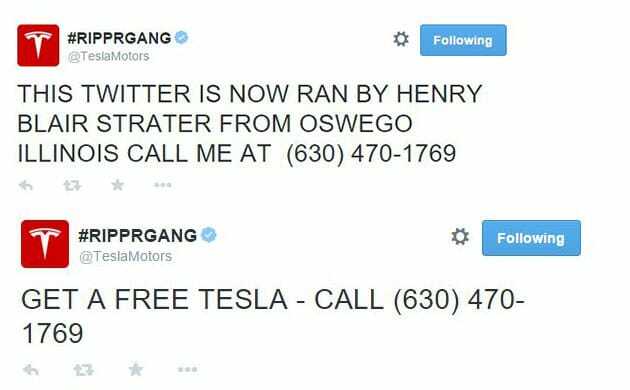 The hackers also tweeted that Tesla’s Twitter account is now run by a computer repair shop Oswego PC Repair located in Oswego, Illinois, giving their phone number to call the shop if you want to get a free Tesla car.